Can Acer make it in the mobile world? Acer will launch a range of new smartphones later this year and will offer Android and Windows Phone handsets. 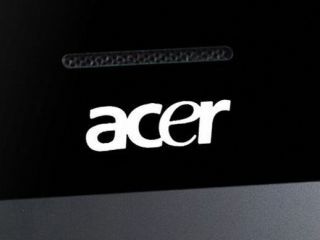 We've already heard about the Acer CloudMobile which will be launched this summer and now Acer's UK Sales Manager Julien Bertheuil has told TechRadar at MWC 2012 that the firm will launch a new range this year. Bertheuil said: "Acer is going to bring a comprehensive range of handsets to the market every year, but we don't intend to launch hundreds of products each year, because of our size and that's not what the market is expecting from us." Bertheuil highlights that Android is the big player in the mobile market, but feels Windows Phone has a place too: "Windows Phone 7 is a very good and credible alternative to what's already on the market and its a good platform to use as well." In an already saturated market Bertheuil believes that Acer will be able to provide a unique experience for users as the company "has a completely different DNA, completely different background to other handset manufacturers, which people are quite interested to hear about." This difference will allow Acer to deliver alternative smartphones compared to what is already on the market, in an attempt to catch the eye of the consumer and to make a name for itself in the industry. Acer will launch a couple of other handsets alongside its flagship CloudMobile in the summer and will then release more devices in September.